Ivey Engineering carbon monoxide safety expert witnesses analyze mechanical equipment and buildings associated with potential carbon monoxide (CO) poisoning incidents. Carbon monoxide is an extremely dangerous gas; breathing even small amounts of it interferes with the ability to process oxygen from the air. What makes carbon monoxide even more dangerous is that it has no color, odor or taste. To make it more complex, the gas is lighter than air at warmer temperatures and heavier than air at cooler temperatures. Does your firm need a carbon monoxide expert witness? Call or e-mail us today! How much carbon monoxide does it take to poison you? Exposure to even small amounts may be dangerous to a person’s health, especially over a long period of time. Symptoms of mild acute carbon monoxide poisoning include headaches, dizziness, confusion, nausea, chest pain and other flu-like symptoms. Unfortunately, the more extreme cases of CO poisoning may be life threatening and require an ambulance ride to the hospital. While there are many existing buildings that don’t utilize CO detectors, new building code requirements are more strict regarding the installation of detectors. However, not every building is required to have detectors and building codes are usually not retroactive. What Creates Dangerous Levels of CO? All gas-burning appliances are capable of creating dangerous amounts of CO; these include water heaters, furnaces, stoves, ovens, boilers and space heaters. 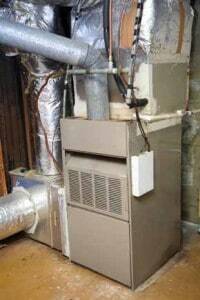 Health hazards usually result from improper combustion and venting. In addition, vehicles such as automobiles, lawnmowers and generators routinely discharge carbon monoxide during operation. Forklifts in warehouses and wood burning fireplaces also create carbon monoxide. Ivey Engineering carbon monoxide safety consultants are retained by building owners, insurance companies, attorneys and contractors to investigate and testify regarding CO poisoning incidents. When individuals may have been harmed by a carbon monoxide incident, it’s critical to understand the sequence of events, and when possible, test the various theories of exposure. This requires an understanding of combustion theory, thermodynamics and the specific mechanical equipment that caused the alleged incident. 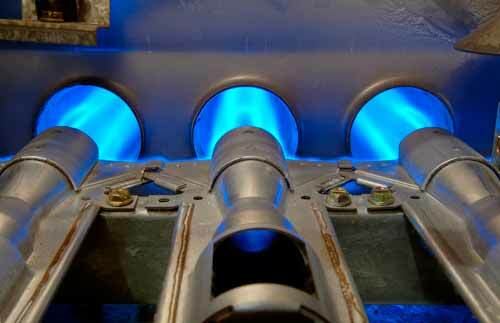 Our carbon-monoxide safety experts have formal training and are certified in CO testing and combustion analysis. IEI consultants have a wide range of experience analyzing residential water heaters, furnaces, fireplaces and larger commercial and industrial equipment. Our expert witnesses are also knowledgeable in building ventilation systems designed to address carbon monoxide in parking structures.